One common situation on the Peak Testosterone Forum is a man having fairly high prolactin levels, say 15-30 ug/L, and yet the doctor says there is nothing "wrong" with him. Of course, prolactin of 15-30 ug/L is over the lab range and this will drive down dopamine/libido and often testosterone. So why does the doctor say nothing is wrong? The reason usually is that an MRI has revealed no prolactin-secreting tumors in the brain, which is called a prolactinoma and something I cover in my page on Testosterone and Prolactinomas. (If you have high prolactin, always consult with a doctor for this very reason.) In the doctor's mind, this man does not have a tumor, so he's not really doing that bad - case closed. However, men with high prolactin and no prolactinoma can still feel lousy. Remember that prolactin is a "lactation hormone" and can trigger gyno. It lowers dopamine. It raises inflammation. So you don't definitely don't want too much of it, and guys can feel it very often. 1. High Estradiol. 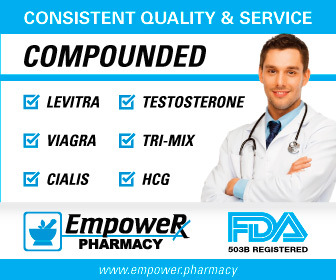 It is no secret that, if you increase estradiol, you will increase prolactin release. Some of the older research showed that this effect was dose dependent, i.e. the more estradiol you added, the higher prolactin increased. And researchers have discovered one of the key mechanisms: estradiol regulates the transcription of the prolactin gene. So, if you are on the high side with prolactin, one of the first things you should probably pull is estradiol. Remember that, as men, we need the appropriate LC-MS/MS test that can pick up our relatively low levels of estradiol (compared to a female). 2. Hypothyroidism. An underactive thyroid will also drive up prolactin levels in us men. Of course, this is an especially ugly situation, because hypothyroidism tends to lower testosterone and sap your energy levels. So, if you have hypothyroidism and high prolactin, you have potentially got a nasty set of symptoms to manage. Furthermore, hypothyroidism is underdiagosed, because so few doctors really test adequately for low thyroid function, something I discuss at length in my page on Testosterone and the Thyroid. In addition, I have a page on Hypothyroidism and High Prolactin, so you can check out the latest research there as well. 4. Stress. Generally, it is thought that psychological stress cannot raise prolactin levels. However, it probably can in some extreme cases, and, if you just had surgery or something other physicial trauma, prolactin levels can definitely shoot up. CONCLUSION: There are many common culprits of fluctuating and high prolactin levels that often can be treated or dealt with naturally. Please also check out my pages on Prolactin Levels in Men, Prozac and Prolactin and The Meaning of Low Prolactin in Men as well. 1) Eur Cytokine Netw, 2004 Apr-Jun;15(2):99-104, "Prolactin triggers pro-inflammatory immune responses in peripheral immune cells"
2) J Clin Invest, 1974 Feb; 53(2): 652 655, "Augmentation of prolactin secretion by estrogen in hypogonadal women"
4) The Journal of Biological Chemistry, March 10, 1982, 257, 2133-2136, "Estradiol regulates the transcription of the prolactin gene." 5) Bailli re's Clinical Endocrinology and Metabolism, May 1987, 1(2):391-414, "8 Prolactin, growth hormone and thyrotropin-thyroid hormone secretion during stress states in man"
6) Ther Clin Risk Manag. 2007 Oct; 3(5): 929 951, "Pharmacological causes of hyperprolactinemia"